A digital perspective into Southern California’s amazing car culture, with narratives and imagery captured from Porsche club gatherings, weekly car shows, and Motorsports events. This may be a little bit long winded, and for that I apologize. Your son posted a link to your blog on Reddit, and as a car enthusiast, I figured I’d give it a shot. I was expecting a half-assed blog with American muscle cars and hot rods, which are far from my thing. I’m a die-hard fan of Stuttgart. So imagine my surprise when I see the page is incredibly well constructed, riddled with Porsches, and to top it all off, you’re a 4.0RS fan as well? I’m going to throw this out there so you know: I’m a HUGE Porsche fan, with my favorite being the late-model 993 C4S. I figured you needed to hear this straight up. This is an amazing blog. I’m going to go through and read the whole thing tonight since I just got done with finals. Seriously, I don’t really keep a lot of links in my bookmark menu on Firefox, but this is going right between Reddit and Gmail (those are the first two links, and my most frequented pages). So yeah, you got yourself a fan. Seriously, thank you. Keep up the great reviews. It’s like this blog was made especially for me. You’re awesome. And thank your son for posting this on Reddit, otherwise I would not have seen it! And thank you for being one of the many visitors who checked out digitaldtour.com on Wednesday. 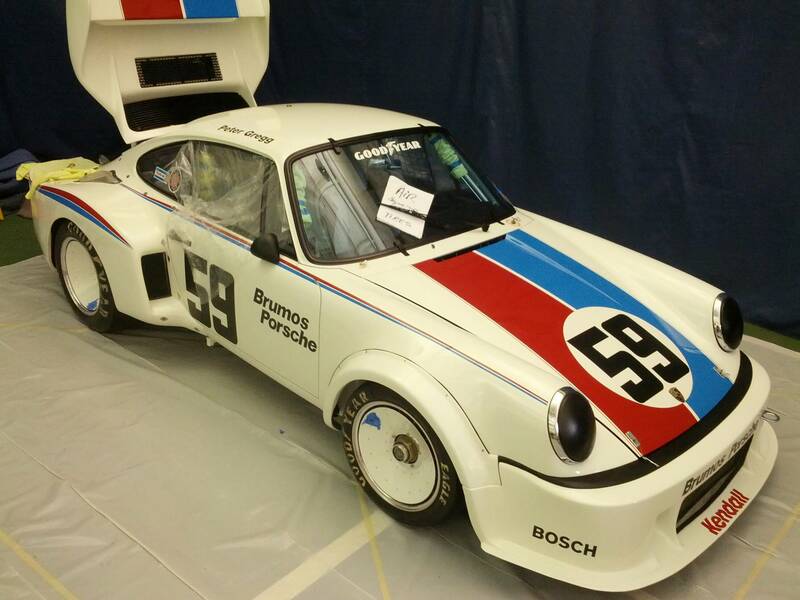 I’m a huge Porsche fan and it’s great to see some quality pics of some long-nose 911s! It’s a good thing the boss is out of the office, as I just killed about an hour scrolling through your blog! I am seriously in love with this blog. For 2 very important reasons. First of all I love your humble and enthusiastic tone. The writing comes off as if an 11yr old (the passion when you first fell in love with the brand) is getting the opportunity to walk around each and every car that you photograph. Love it! The second – is the photography, its crisp and interesting, and well selected. Bravo! I will be a loyal follower and can’t wait! When I was 24, a friend was nice enough to lend me a 996 turbo for the summer as he had spent some time racing with me the years prior. 2 years later that car ignited an intense passion for me in relation to the brand, a passion I feel you share too. Fantastic blog and keep it up. Nicely done… As a fellow photography enthusiast and Porsche owner, (1996 993 Carerra) I enjoy the high-quality pics, and simple layout style of the blog. Keep up the good work! I would hope you continue to find my posts and photography of sufficient interest to warrant your bookmarking my blog. I’ve really enjoyed reading over your blog (new reader) and must say it’s amazingly thorough and has incredible photography! You’ve got a real talent for this! Keep it up! Oh and I have no affiliation with him other than I’m a big fan of his work. Really though, you seem to have this niche covered and I can’t wait to see more! Are you on Twitter and/or Facebook? I’m glad that you are enjoying my posts and photography, and thank you for the reference to the book “Crush it”. I watched the video, and will be looking to read the book. And to answer your last question, no I am not on Twitter of Facebook. I’m sorry you don’t like the font I selected for the header, but at least it appears you enjoy my photography. Ridiculously well done blog. You can thank your son for all the traffic. This is the epitome of a true car enthusiast. I hope to one day experience what you have. Until then, I’ll keep snapping exotics at every chance I see. Keep up the incredible work, and hope to see more soon. I hope you continue to enjoy my posts and photos. I work very hard to maintain a consistent level of writing and photography, but obviously some posts may not be as appealing as others. Hopefully you will not be disappointed with my future posts. Somebody essentially assist to make severely articles I’d state. That is the first time I frequented your web page and up to now? I surprised with the research you made to create this particular submit amazing. Excellent job! I appreciate your comments and hope you enjoy my posts. Thank you for the feedback, and hope that you found my blog of interest. I just want to tell you that I am beginner to blogging and site-building and truly enjoyed your website. Almost certainly I’m likely to bookmark your blog . You actually have excellent well written articles. Cheers for revealing your website. I’m glad that you find my blog interesting, and good luck with your own blogging efforts. Thank you for your positive remarks. I truly enjoy examining on this site, it holds good articles . “For Brutus is an honourable man So are they all, all honourable men.” by William Shakespeare. Thank you I appreciate your feedback. The first time in months that I have clicked on “I’m Feeling Lucky” and finally got an excellent Web site. Thankyou. I’m glad that you found my blog to be of interest, even if it was by accident. Keep up the good work, I read few blog posts on this website and I believe that your site is rattling interesting and has got circles of good information. Thank you,I appreciate your feedback. I was looking through some of your posts on this internet site and I think this site is rattling instructive! Keep putting up. Thank you for your comments, and I’m glad that you find my blog to be informative. I don’t even know how I ended up right here, but I thought this post was good. I do not know who you are but certainly you are going to a famous blogger if you are not already Cheers! I have been browsing online greater than three hours nowadays, yet I never discovered any attention-grabbing article like yours. It’s pretty value sufficient for me. Personally, if all web owners and bloggers made excellent content material as you probably did, the internet shall be much more helpful than ever before. “Learn to see in another’s calamity the ills which you should avoid.” by Publilius Syrus. I have recently started a site, the information you provide on this site has helped me greatly. Thanks for all of your time & work. “One of the greatest pains to human nature is the pain of a new idea.” by Walter Bagehot. Thank you, I’m glad that you enjoyed reading my blog. Thank you, and I appreciate the feedback. Wow, incredible weblog layout! How long have you been blogging for? you make blogging look easy. The overall look of your website is wonderful, as well as the content! Thank you, I’m glad that you appreciate my blogs design. I launched digitaldtour on September 17, 2011, and have been writing and photographing the events captured in my posts ever since. The vintage race photography used in my blog is taken from my personal archive; events that I photographed from the mid 1970’s through the late 80’s. Very nice pattern and superb content, hardly anything else we require :D.
I genuinely enjoy examining on this internet site , it contains superb blog posts. “Wealth and children are the adornment of life.” by Koran. Thank you, I’m glad that you find my blog posts interesting. hello there and thank you for your information – I’ve definitely picked up something new from right here. I did however expertise several technical issues using this website, since I experienced to reload the website a lot of times previous to I could get it to load correctly. I had been wondering if your web hosting is OK? Not that I am complaining, but slow loading instances times will sometimes affect your placement in google and can damage your high-quality score if advertising and marketing with Adwords. Anyway I am adding this RSS to my email and could look out for a lot more of your respective interesting content. Ensure that you update this again very soon.. Thank you for your comments, also the feedback regarding slow upload times. I am still working on trying to resolve the bugs due to file size and my blogs formatting. I precisely desired to thank you very much again. I am not sure the things that I might have carried out in the absence of those tips shown by you about my subject matter. It previously was a horrifying condition for me personally, however , viewing a well-written fashion you managed that forced me to leap over joy. I am just happy for the advice and then have high hopes you realize what an amazing job you happen to be accomplishing educating most people using your website. More than likely you’ve never met all of us. I appreciate your feedback and am glad that you are enjoying my posts. Greetings, I do think your blog could be having browser compatibility problems. Whenever I look at your blog in Safari, it looks fine however when opening in IE, it’s got some overlapping issues. I merely wanted to give you a quick heads up! Apart from that, great blog! In order to resolve these internet explorer problems. I am working with WordPress to try and resolve. Can you tell me what versions of IE you are using? And can you tell me what other problems in detail you are experiencing? Thank you in advance for your assistance in these matters. I’m sorry you have been disappointed by my last several posts. I’ll take your comments to heart and try to up my game, so stay tuned. Hi there, I do think your website might be having web browser compatibility issues. When I take a look at your blog in Safari, it looks fine however, if opening in IE, it’s got some overlapping issues. I just wanted to provide you with a quick heads up! Besides that, great blog! Can you tell me what version of internet explorer you are using? And can you explain in detail exactly what type of problems you are encountering? I am currently working with WordPress to try and resolve these problems, and in order to resolve they need some additional input. I would appreciate your help in quantifying these concerns. Can you share with me which version of IE you are running? Wordpress is working with me, trying to resolve the problems you note, however they need to know specifically which versions of IE are having the format problems. I would appreciate your help in trying to resolve this problem. Thanks for the quality pictures and detailed stories, I am really enjoying your blog. I’m glad that you are enjoying my photos and narratives. Hello, I think your page is great! Thank you for the clarification regarding my error in identifying the Ferrari 599 color. I never got a chance to ask the owner about the color, so had to go online to Ferrari’s website to research. The colors specifications on their site for canna di fucile looked close to the color of the car I had photographed, but obviously I was wrong. It seems you know your Ferrari’s very well, so please let me know if I make any further errors. No problem, Chris. It’s not a mistake. Ferrari has an amazing range of colors, so its hard to see the difference sometimes. Usually people name grigio Silverstone as Canna di Fucile, but they are totally different, too. Really like your pics and these C&C events! How do I contact you. I have sent several emails but no one answers me. I like what you guys are up also. Congratulations to the developers of this site. As far as receiving emails, I’m not sure who you are sending them to, because I have not received any. Thank you for your comments, I do read them and try to respond to as many as possible. I also appreciate you taking the time to read my blog, and hope you continue to find it of interest. That is very fascinating, You’re a very professional blogger. I’ve joined your rss feed and look forward to in search of extra of your fantastic post. Also, I have shared your web site in my social networks! I’m glad that you find my blog to be of interest, and for sharing my blog with your friends social network. If you choose to go with WordPress for your blog, you will not require any html coding skills to make your blog a reality. You can check out their site for the details on how to begin your own blog; I have been using their services since September 2011, and have been very happy with their services. I’m still learning from you, but I’m trying to reach my goals. I certainly enjoy reading all that is written on your website.Keep the tips coming. I enjoyed it! I appreciate your comments and that you have enjoyed reading my blog. Hi, I think your page was amazing! I do hope that you will continue to enjoy reading my future blog posts. Thank you for you feedback,and I hope you will continue to enjoy reading my blog. I really wanted to make a quick word in order to say thanks to you for these fabulous guides you are giving on this site. My particularly long internet lookup has at the end of the day been compensated with excellent insight to share with my family and friends. I ‘d state that that many of us visitors are unequivocally endowed to exist in a great website with so many special people with beneficial advice. I feel truly privileged to have used your entire site and look forward to some more enjoyable times reading here. Thank you once again for everything. Thank you for your comments, and I hope you continue to enjoy my blog postings. Thank you, I’m glad that you enjoy reading my blog posts. Thank you,I appreciate your positive feedback. Thank you, I’m glad that you found my blog post to be informative. Thank you for your comments, and for bookmarking my blog. And I hope you will continue to enjoy reading my future postings. Thank you, I’m glad that you like my photographs. I saw the title of your blog post – About | digitaldtour – while I was Googling on the web a minute ago. Can if I put a link to https://digitaldtour.com/about/ on my site? Thank you for you comments. I would be honored to have you place a link to my blog on your website. Howdy would you mind sharing which blog platform you’re working with? I’m looking to start my own blog in the near future but I’m having a hard time choosing between BlogEngine/Wordpress/B2evolution and Drupal. The reason I ask is because your design and style seems different then most blogs and I’m looking for something unique. P.S Apologies for getting off-topic but I had to ask! My blog is hosted by WordPress, and is a service provider that I would highly recommend if you are interested in beginning your own blog. I absolutely love your website.. Excellent colors & theme. Did you create this site yourself? Please reply back as I’m attempting to create my very own site and would like to learn where you got this from or just what the theme is named. Thank you! Thank you for your comments. The theme I used is available from WordPress, but I went a step further and altered it to meet my personal design intent. And good luck with starting up your own site. Thank you, I’m glad that you find my blog posts to be of interest. Thank you, I’m glad that you found my blog to be a worth while read. Thank you, I’m glad that your are enjoying my blog. Thank you, I’m glad that you have found my blog to be of interest and intend to check out future postings. Thank you, I appreciate your feedback regarding my blog postings. I don’t even know how I ended up right here, but I thought this post was good. I do not know who you might be but certainly you’re going to a well-known blogger if you aren’t currently 😉 Cheers http://www.shuep.com/nikeblazer_pascher.html! I found your post to be to the point and right on. When I’ve got some time later I’ll write a more detailed comment with my own thoughts on the subject, but for now..good job! Thanks a lot for providing individuals with an extremely wonderful possiblity to read articles and blog posts from this web site. It’s always very brilliant and also jam-packed with a lot of fun for me and my office co-workers to visit the blog really 3 times in one week to learn the latest issues you will have. And of course, I’m so usually fascinated with your extraordinary things you give. Certain two ideas on this page are undoubtedly the most beneficial I’ve ever had. Thank you for the feedback, and I’m glad that you have found my blog interesting. That is the precise weblog for anybody who wants to find out about this topic. You notice so much its virtually laborious to argue with you (not that I actually would want…HaHa). You definitely put a brand new spin on a subject thats been written about for years. Great stuff, just great! Thank you, I appreciate the feedback and am glad that you have enjoyed my blog. Thank you, I appreciate your bookmarking my blog. Very nice post. I just stumbled upon your weblog and wanted to say that I’ve really enjoyed browsing your website posts. In any case I? ?￥ll be subscribing to your rss feed and I hope you compose again very soon! Thank you for your comments, I’m glad that you find my blog interesting. Thank you, I’m glad that you find my blog content to be of interest. I greatly enjoy checking back on your blog, and finding new content. I love how enthusiastic you are about the car culture. I will be in the Northridge area in early August, and would love to find some car shows or events. Would you know of any going on around that time and area? Thank you for your feedback, and I’m glad that you enjoy following my blog. I have included a link to a website that lists all of the different cars show occurring throughout Southern California by month; I hope this will help. Thanks, I have recently been searching for info about this topic for ages and yours is the best I have located so far. Thank you, I’m glad that you are enjoying my blog and its content. Thank you, I”m glad that you enjoyed my blog. Thank you, I glad that you are enjoying my blog posts. Thank you, I have been seeking for details about this subject matter for ages and yours is the best I’ve discovered so far. Very interesting feedback, especially given that there is no music associated with any of my blog postings. Thank you for your feedback, and I appreciate you taking the time to email me with your input. Thank you for your comments. I used one of the themes available from WordPress, however modified it to meet my design needs. Thank you,I appreciate your comments. I’d like your permission to use one or two of your photos in a contest, here is the link to it. Hi Chris, how would one reach you to inquire about using one of your photos in a magazine? I’ll look forward to hearing from you regarding your question. you may be a great author. I will be sure to bookmark your blog and will often come back in the future. Thank you, I appreciate your comments. I hope you continue to enjoy my blog. Thank you for your feedback, and i hope you continue to enjoy my future postings. and return to read more of your uѕeful info. Thanks for the post. I’ll definitely retսrո. Thank you,I appreciate the feedback. Thank you for the feedback, and I’m glad that you are enjoying my blog. Thank you for your kind words, and I hope you continue to enjoy my blog postings. Thank you for the email, and appreciate your comments. Am working on part tow, and hopefully the images and narrative will be well received. My blog theme is one of many offered by WordPress. I did however modify it to meet my design intent. Thank you for the feedback. If you are referring to my Le MAns blog post, I am in the progress of working on part 2, and hope to have it completed soon. Thank you, and appreciate the feedback. I’m glad that you are enjoying my blog, and hope you will continue to enjoy my future postings. I am a car enthusiast from Austria and I love your blog! I hope you keep up the good work, even though you haven’t posted in a while! Hi Chris – I am looking to start a YouTube channel and was wondering if I could use some of your photos in my videos. I would, of course, give you credit for the photos. It sounds like you have an interesting project in the works. Can you share with me which images from my blog you are interested in using? If you can share some more detail, we can discuss your request, and the intended extent and usage of my photos. Thanks again, and I look forward to hearing back. I’m interested in a couple of your photos for a book project that I’m working on. I hope to hear from you. Please contact me so we can discuss further the images that you arte interested in for your book. Not sure if you had received my previous response to your email. Yes, I would be interested in providing you with any photos that I have for your current book project.